Play a round of miniature golf on our beautiful 18-hole course! HeyDay's course is a fusion of architecture, science, landscaping and artistry. This 18-hole course features varying elevations, accented by rippling streams, ponds, waterfalls, a bridge, beautiful landscaping and even some sand traps! And just like the PGA tour, HeyDay has its own water hole completely surrounded by water! HeyDay miniature golf is designed to produce challenges the whole family can enjoy and is also compliant with the Americans with Disabilities Act. Get A "Bucket of Gold" for the Arcade! $25 game card for only $20! 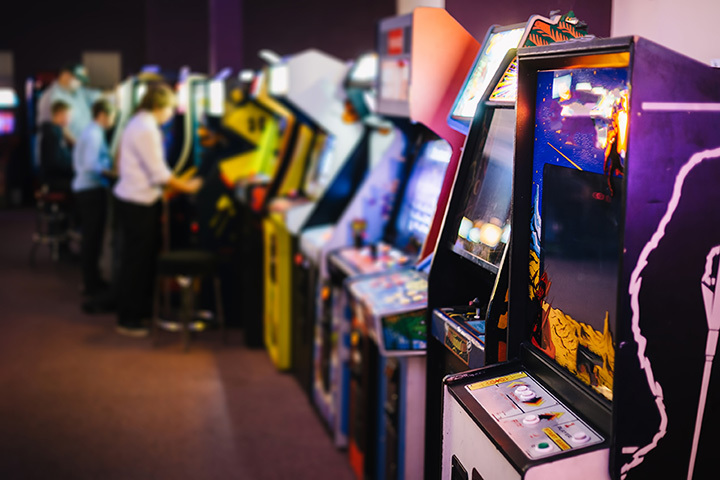 HeyDay's Arcade room features so many great games of every variety. There's something for everyone! If tickets are what you're after, then you'll want to play more Redemption Games to build your skill and earn awesome prizes. HeyDay's Ropes Course is taking fun to new heights! Located indoors, above the large arcade room, the Ropes Course gives you an experience that's exciting for all ages. Once you've been equipped with your safety harnesses, you'll get to explore the multi-path jungle of ropes, balance beams, planks and bridges. It's up to you to choose the route you want and create your own adventure!